The GES supports highly motivated and ambitious grads who want to start their business or social enterprise—providing start-up funding and office space with a programme of business mentoring, advice and support. 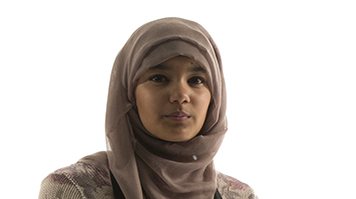 "I always wanted to go to university and get qualifications and skills to help me choose the right career," she says. "I chose product design because it is quite a broad subject and the tutors have expert knowledge, providing insight from their own professional careers." "My original plan was to join a design firm or consultancy," she says "But when I started receiving small commissions for my work whilst still studying, and learning of the Graduate Entrepreneur Scheme, I decided to start my own business instead. "I've now launched KDEVISION selling unique homewares, gifts and accessories. My philosophy is that good design shouldn't be a luxury. Good design is inclusive, useful, intuitive and timeless." "The enterprise department have been a great facility in the start-up and continuation of running my business- their support and guidance has really encouraged me to keep going and believe in my business and products as much as they do! With their funding I bought my laser cutter, and I've had my own studio since February 2014." This support coupled with the skills Kadeza gained on her course is really helping her in making KDEVISION successful. "Studying product design gave me the graphics skills to design my own logo, website and marketing material, as well as giving me the knowledge and experience of manufacturing processes and technology - enabling me to make an educated decision on which equipment and machinery to invest in, as well as the confidence to be able to trust in my own design ability and judgment."